Lately, we’ve been studying Ancient Egypt. You know, mummies, pyramids, pharaohs- the whole shebang. I’ve always found ancient Egypt fascinating. Using Home School in the Woods‘ Project Passport, we’ve been discovering and learning together by lapbooking through Ancient Egypt. It’s pretty well known that February (usually the halfway mark in school) can be one of the toughest months of the homeschool year. It’s still dreary and cold out, and it seems like winter has been here f o r e v e r. Thankfully, March is right around the corner, and you know what March brings . . . Spring, baby!! 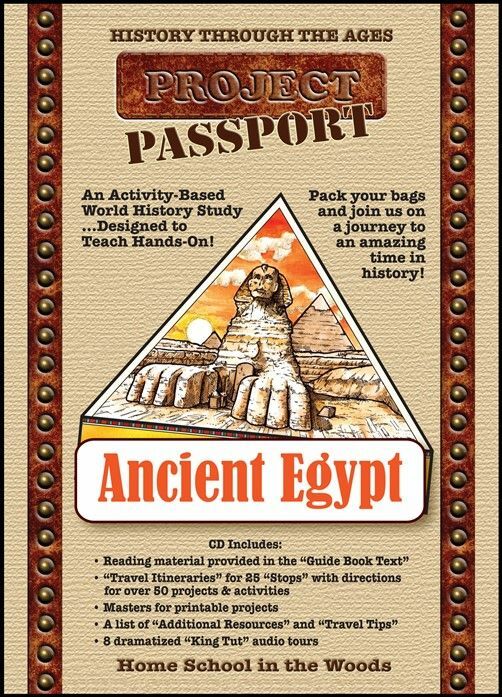 To help you make it through, HISTORY Through the Ages Project Passport World History Study is a perfect history supplement to work through those February homeschool blahs. We received the digital download of the product ($33.95), but there is also a CD version available for $34.95, plus roughly $4 in shipping. Shipping costs are dependant on where you live, so it may vary. Each stop has Guide Book Text to read on a topic, and a Travel Itinerary for project choices and directions. Masters for all printables are included. But don’t worry, they aren’t all included in every Stop! Here’s a quick overview video of those elements. it covers a multitude of subjects such as science, art, writing, Bible, and more! Since we only had about six weeks to work on this, we used it exclusively as our history curriculum and left everything else by the wayside. We (two kindergartners and an eighth grader) set out to explore Ancient Egypt together. We started by printing out the necessities like the newspaper, timeline, postcards, lesson texts, and so on. We also gathered some books and DVDs from the library to help us really dive into the Egyptian world. I treated the text part, usually 2-4 pages long, as stories. I read and they narrated. My eighth grader also did some written narration. After reading each Stop, we’d decide which activities to do. We by no means did them all. There are a plethora of activities to choose from! As much as we enjoyed Project Passport Ancient Egypt, there were a couple of drawbacks for our family. Well, specifically, for me. 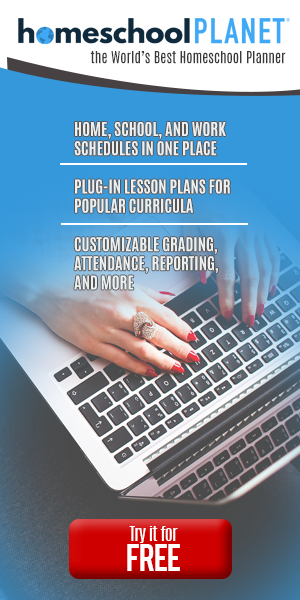 This product is extremely teacher intensive- especially in the beginning. There is a lot of printing, cutting, pasting . . . all of which, I’m not a fan of. Some mothers are super crafters and enjoy things of that nature, I just don’t. I don’t even like cutting out coupons. But other than that, we quite enjoy Homeschool in the Woods’ products. In the past, we’ve also reviewed their Elections and Renaissance & Reformation lapbooks.